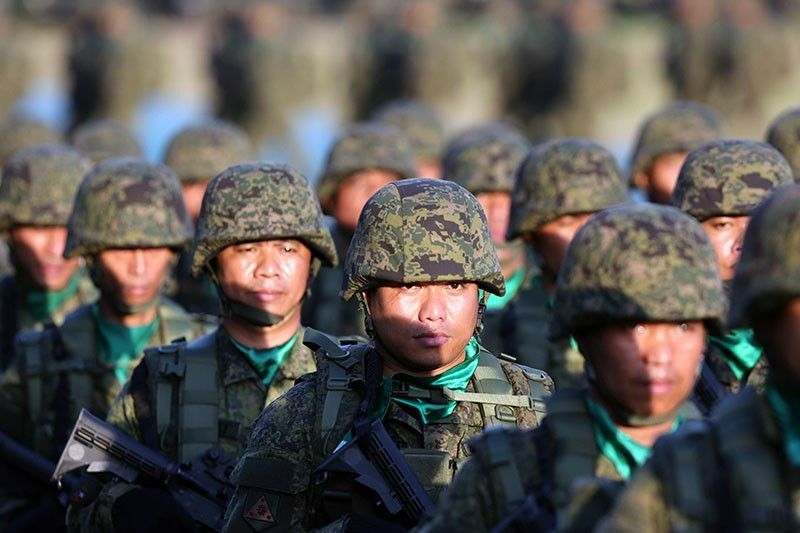 President Rodrigo Duterte said the retirement age of 56 is “too early,” considering that Filipinos are spending so much for soldiers and policemen. MANILA, Philippines (Updated, 9:25 p.m.) — President Rodrigo Duterte has named the military's top spy as the next chief of the 93,000-strong Philippine Army. Maj. Gen. Macairog Alberto, chief of the Armed Forces of the Philippines Intelligence Service, will assume as the commanding general of the military's largest major service on Monday. His appointment paper was released to the Defense department Thursday, the Office of the Executive Secretary said. Alberto will succeed retiring Lt. Gen. Roland Bautista, who has been chosen by President Duterte as the next Social Welfare secretary. A graduate of Philippine Military Academy Sinagtala class 1986, Alberto was appointed Intelligence Service chief in August last year. Alberto also served as commander of the Army's 1001st Infantry Brigade based in Compostela Valley in the Davao region. He led the campaign against communist rebels in the province during his stint as brigade commander. Alberto was also a chief of the Task Force Davao and a recipient of various military awards including Distinguished Service Stars, Gold Cross Medal, and Bronze Cross Medal.